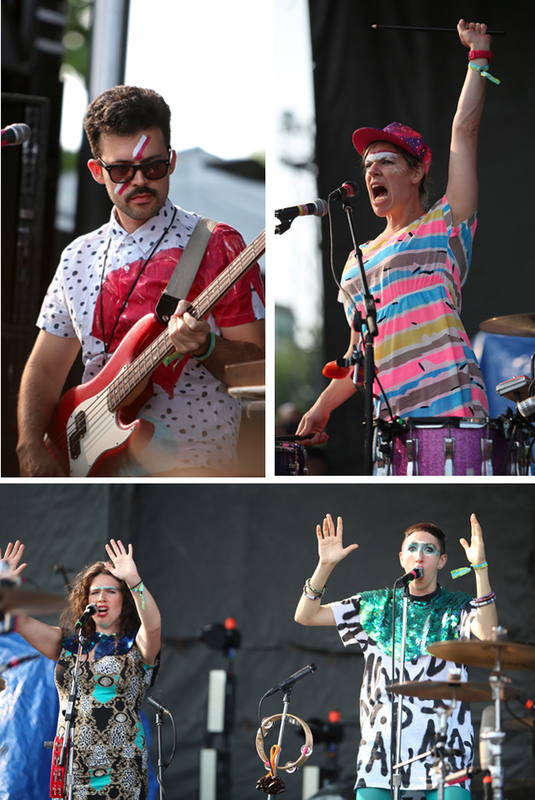 Well the sun has set on another Pitchfork Music Festival, but we'll always have the memories and of course the pictures! Got the chance to hang out with this babe yesterday afternoon. 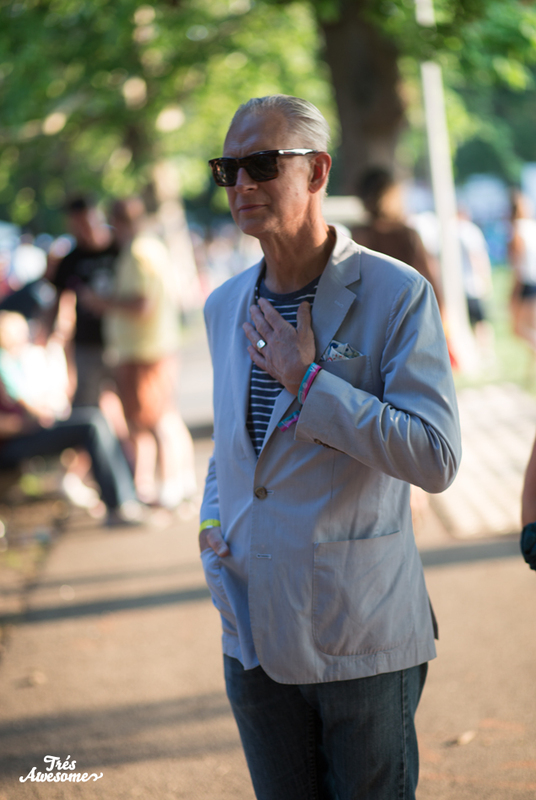 Lynette Astaire looks incredible here in her mary jane print suit and straw hat from Mexico. 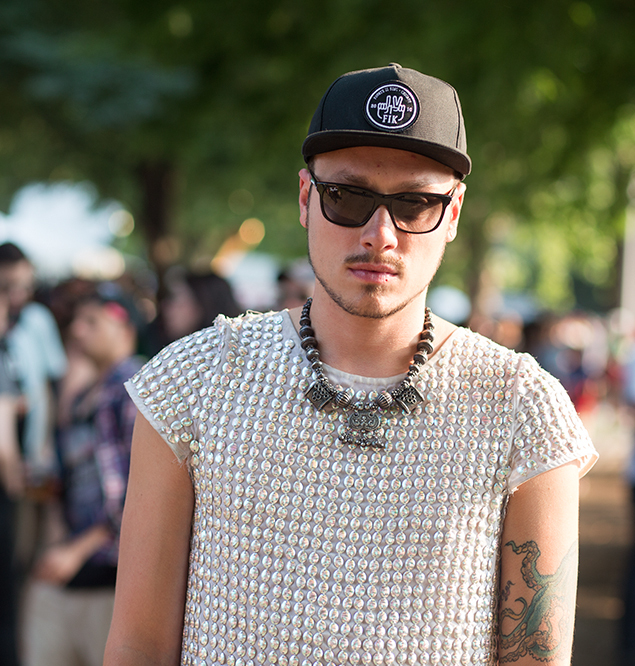 Mateo looks rad in his mixed metals and flat brim cap. 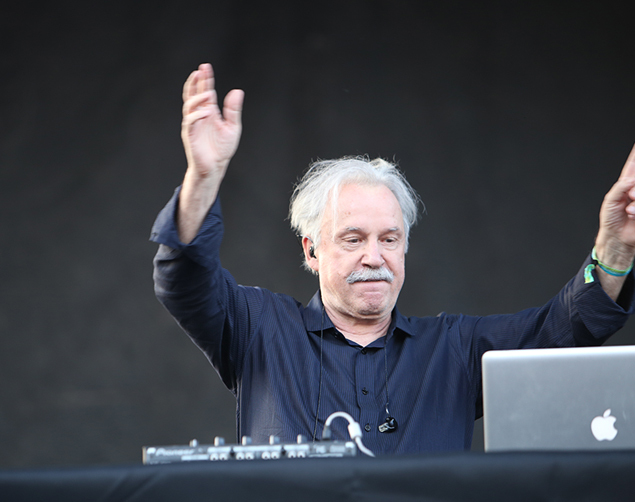 Giorgio Moroder (aka as the godfather of electronic dance music) tore it up and got the party started on Friday night before Beck. 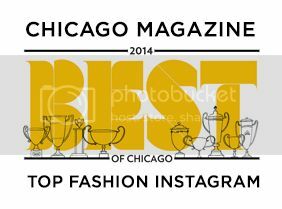 Sasha Hodges is part owner of the coolest vintage shop in town Kokorokoko. 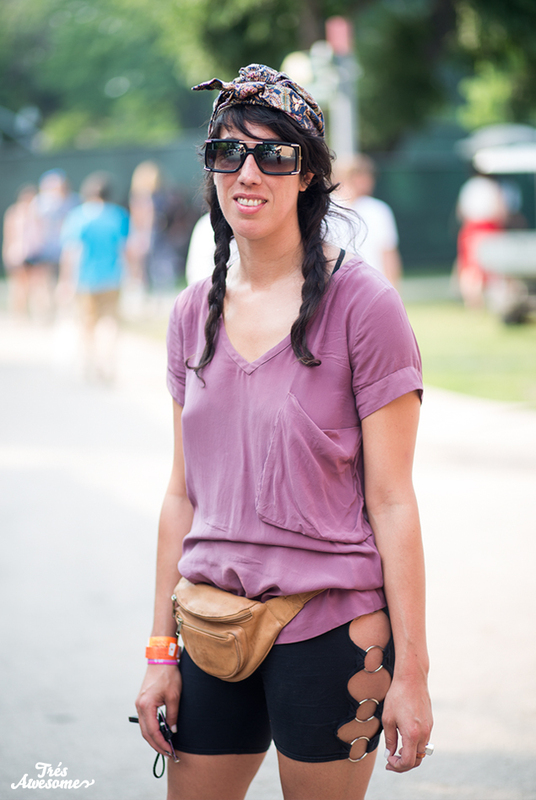 She wins the award for best shorts of the fest. 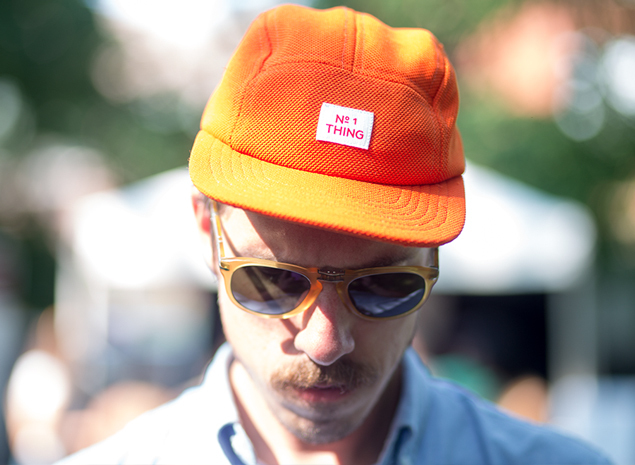 Pitchfork's creative director Michael Renaud looks rad in this hat they designed. 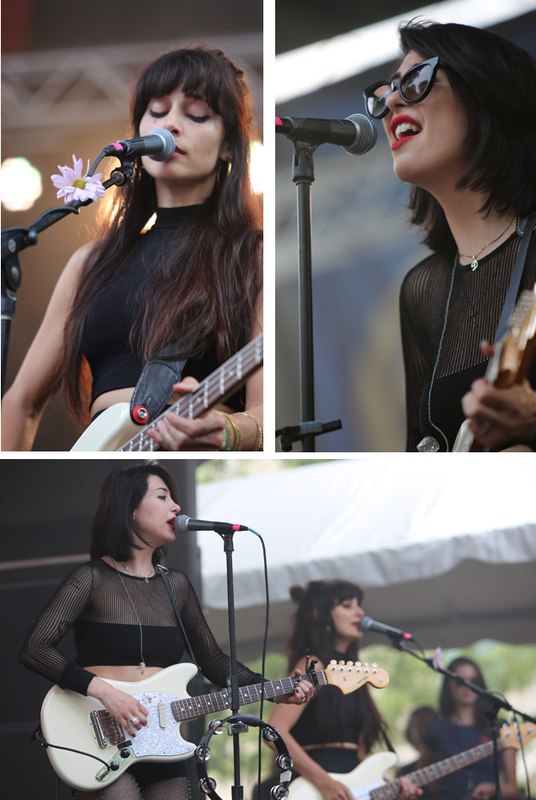 The Dum Dum Girls played a great set on Sunday. 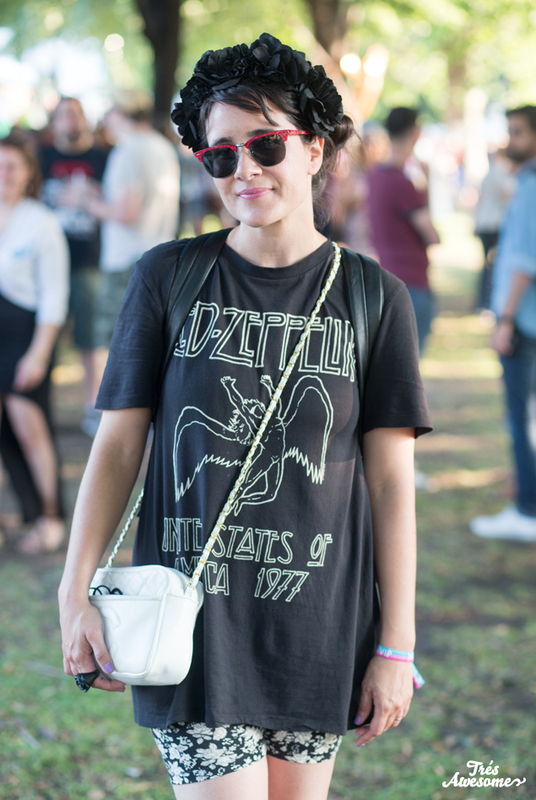 Isa Giallorenzo of the cool street style blog Chicago Looks is doing it right here in this rad Led Zepplin T-shirt and black flower crown. 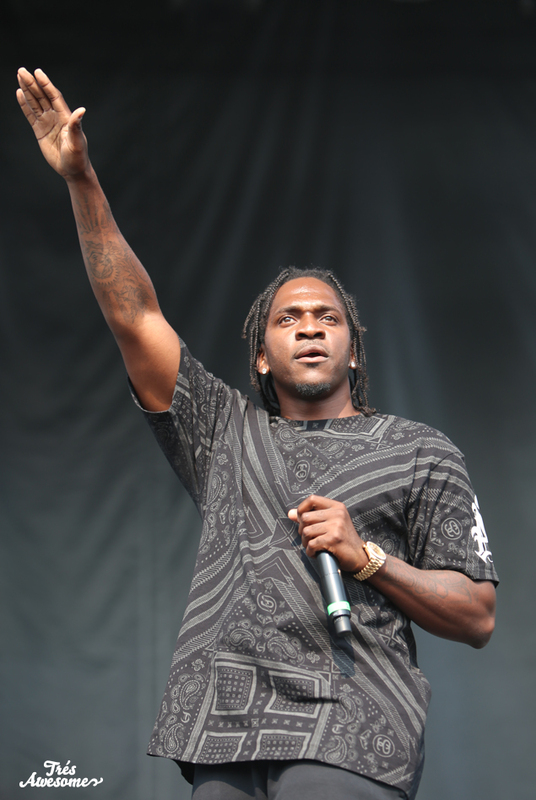 Even though Pusha-Ts set started way late, he made it count with a strong but short perfomance. 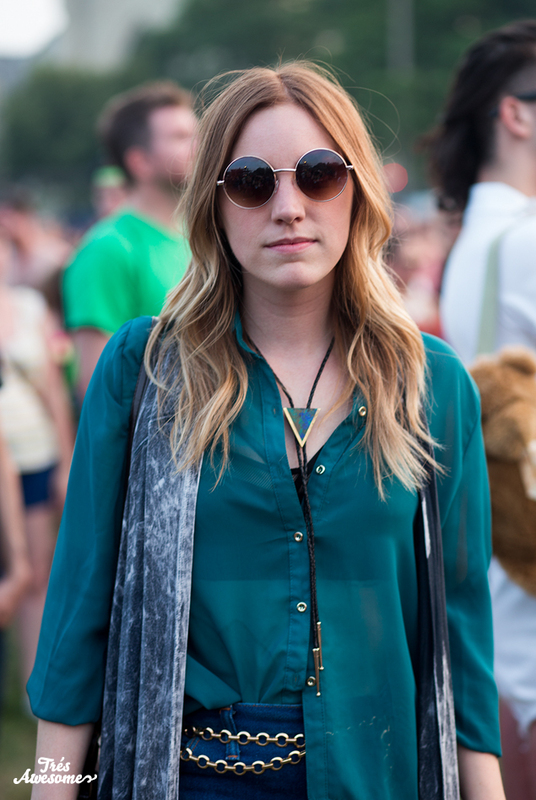 Claire Molitor looks beautiful here in shades of blue, a radical geometric bolo tie, & big round sunnies. Hundred Waters was the very first act of the fest on Friday and they were SO good. It was great to meet the lead singer, Nicole Miglis back stage and snap her portrait. 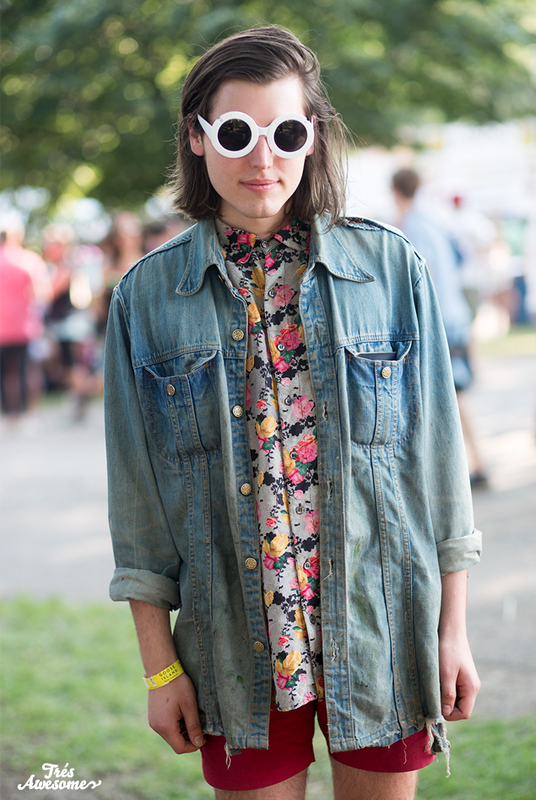 And last but not last least, this fine gentleman rocking out in his sisters blouse and a modified pair of Sungalsses. Love the Dum Dum Girls. 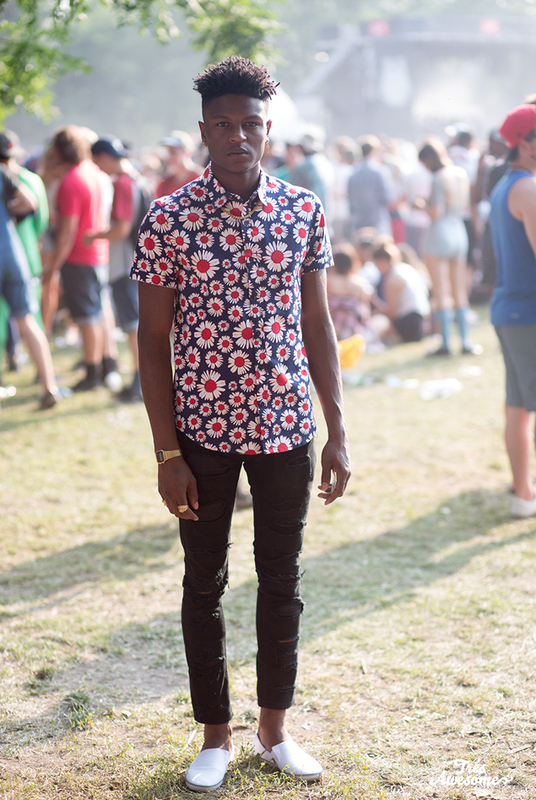 There outfits are also great. Looks they were also wearing some kind of Rhinestone stockings too. Fun times!